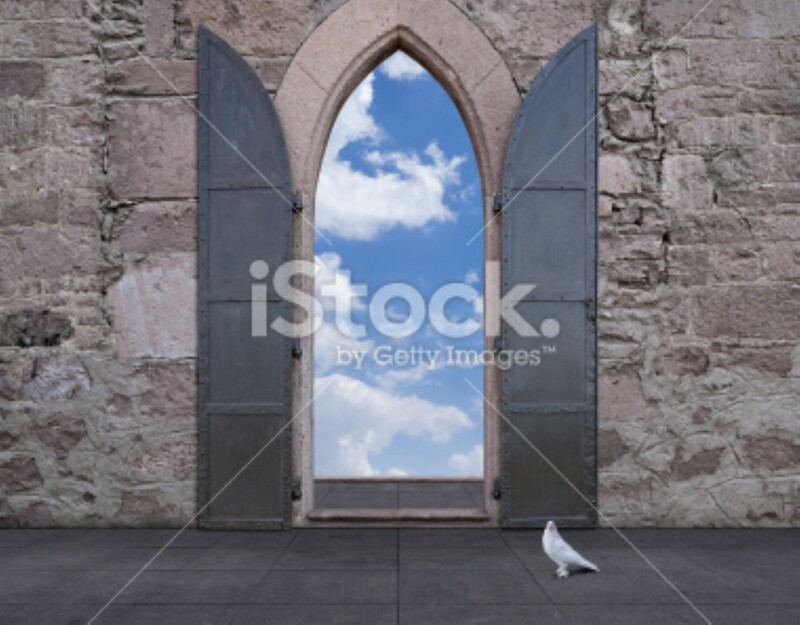 Ancient open door (or window) against a stone wall with a view of sky and clouds. White pigeon on the floor. Digitally generated image.